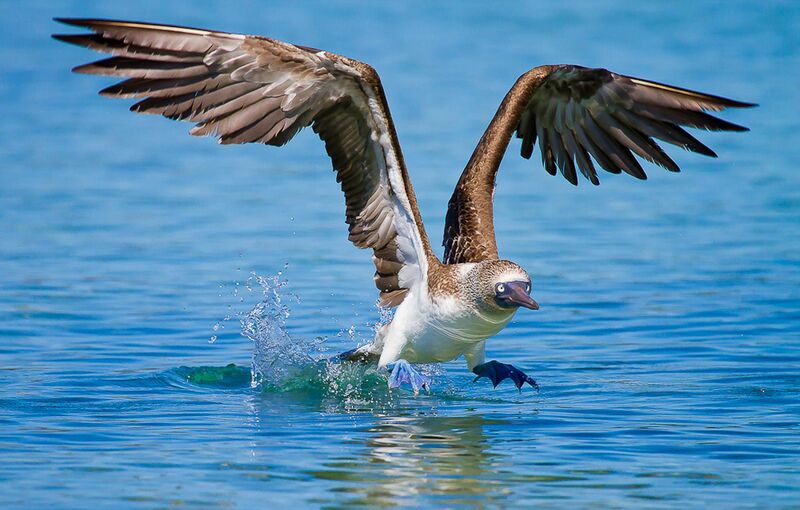 A blue-footed booby lifts off over waters near the Galapagos Islands. Blue-footed boobies are aplty named, and males take great pride in their fabulous feet. During mating rituals, male birds show off their feet to prospective mates with a high-stepping strut. The bluer the feet, the more attractive the mate.